Fits gates 3, 4, 5, or 6 feet high! 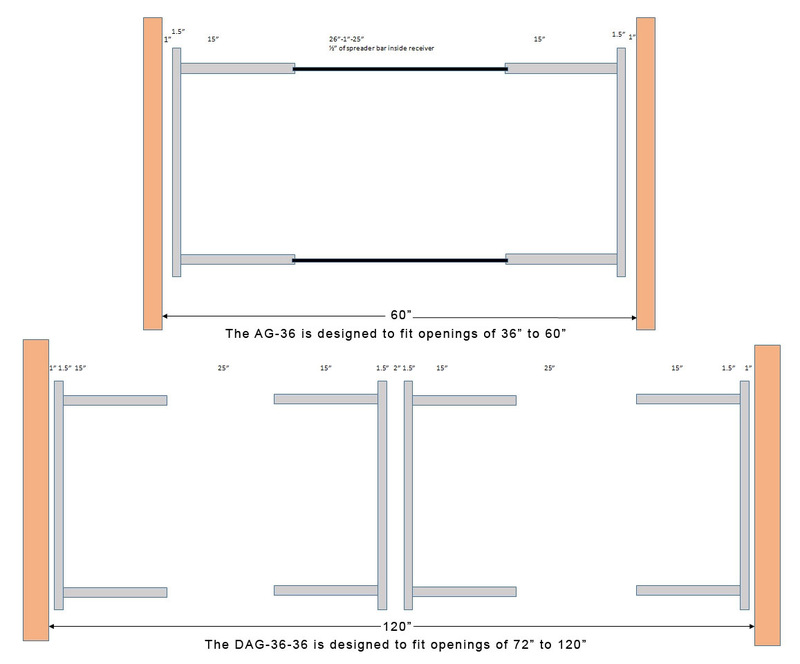 1-1/2" galvanized steel square frame on Wood Gate Models, .045" wall thickness (1-1/4'' frame on the AG-36-3S). 2" welded steel square frame on Vinyl Gate Models. Wood, Vinyl Posts, Railing and/or Panels not included. 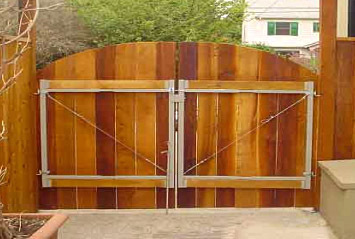 The gate kits can be used as a single OR double swing gates. Double Gate Kits include a Drop Rod. The AG-36-3S has a black frame and is designed for both composite and wood gates. This gate kit includes non-adjustable heavy duty decorative hinges and a latch that is accessible from both sides. Replacing existing gates is now easy. No more dragging fence boards and gate latches that won't latch (or unlatch). The Adjust-A-Gate is the perfect Do-It-Yourselfer steel-framed gate kit. Thanks to it's adjustable truss cable design, the Adjust-A-Gate will never sag or drag. It will fit 3', 4', 5', and 6' high gates of nearly any style. Unique steel sleeve construction allows frame to adjust to nearly any opening for a perfect fit with a tough, corrosion resistant powder coating. 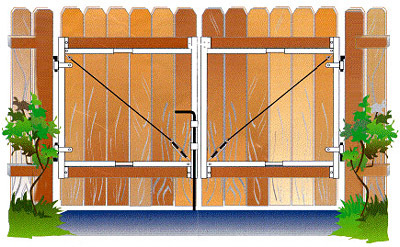 When building a gate for a new fence or upgrading a gate on an existing fence the possibilities of the Adjust-A-Gate are endless. As a contactor you will always have the right gate for the job (no more wasted trips and man hours). As a homeowner the Adjust-A-Gate will go up easy and look like the pros installed it. Give your fence the portal it deserves. Tired of wrestling with that saggy old gate? Not sure how to build a new gate that will fit right and stay solid in future? The answer may be Adjust-A-Gate, an innovative gate-building kit that's perfect for the professional or the do-it-yourselfer. Adjustable Widths - Uses a unique sleeve system to adjust the gate to fit the opening. Adjustable Truss Cable - Installs diagonally across gate frame to prevent sagging. Install your own wood rails and pickets in Adjust-A-Gate Kits, straight across the top, arched, convex, or concave. The Adjust-A-Gate kit is one of those "why didn't I think of that" products. It's simply a metal framework that is combined with standard 2x4 lumber to create a custom-fit gate for fences that are three, four, five, or six feet high. There are three gate widths available, one for 36-inch to 60-inch wide openings, two for 36-inch to 72-inch wide openings, and another for 60-inch to 96-inch wide openings. A pair can be used together to accommodate openings from 10 to 16 feet. Kits available for 2-rail or 3-rail gates. New models now available for Composite wood fencing for brands such as Trex and Weathershades! Consider our 'composite' models for both wood gates and those made with a variety of composite lumber now available on the market. The Adjust-A-Gate II models are now available for vinyl gates! 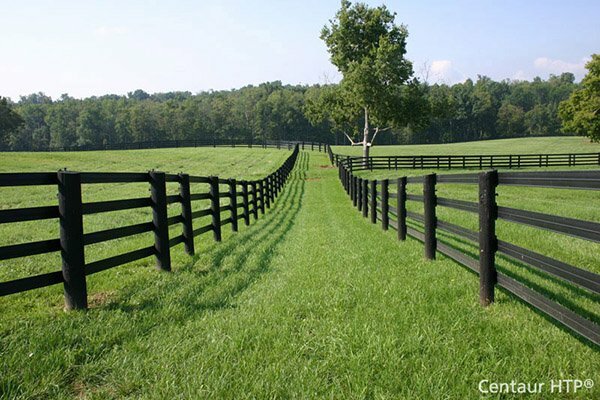 Our Post & Rail Gate model allows you to build nearly any size walk gate, or driveway gate for 2-rail, 3-rail, and 4-rail agricultural post and rail fence. Standard gate kits accomodate 6' wide gate openings, but can be expanded with our extension kit to 8' wide! 12' and 16' wide farm gates are now made easy! 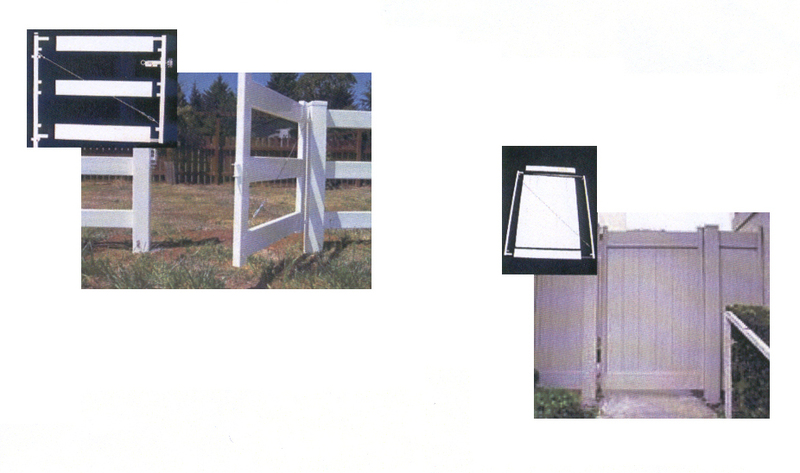 Vinyl privacy gates are now stronger and easier to build with our Privacy Gate model. PVC privacy gates up to 6' wide are built in a snap and can be 'doubled' for a 12' wide gate opening! 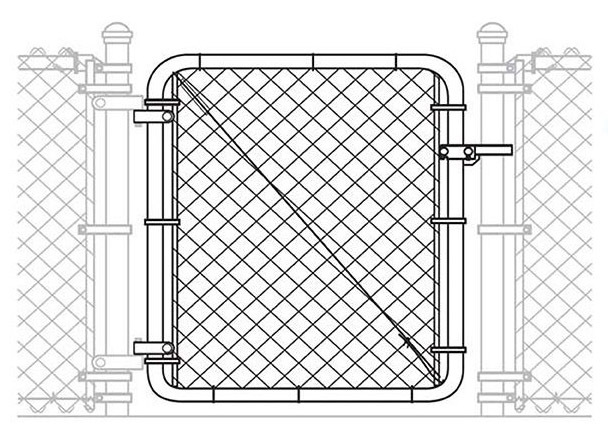 The Fit-Right Adjustable Chain Link Gate System is now available for chain link gates! Includes everything you need to build a custom fit chain link gate 4', 5' or 6' high and 2' to 6' wide. Use two and build a double drive through gate up to 12' wide!